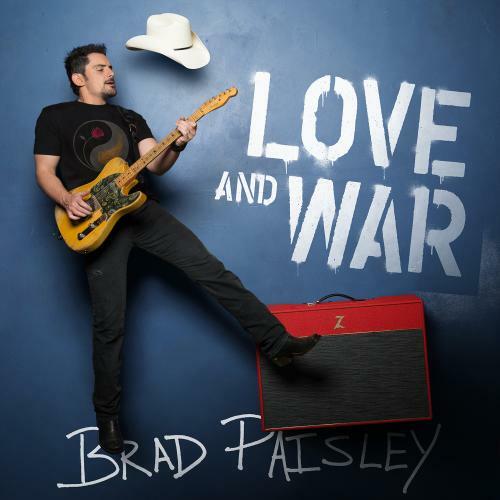 Country superstar Brad Paisley releases his much anticipated 11th Arista Nashville album today! As part of the celebration, the music video for “Love and War” is available now and can be viewed HERE. “Love and War” is written by Paisley and Rock and Roll Hall of Fame member, John Fogerty. “Love and War” is the fourth clip in the six socially sourced music video series which Paisley is releasing exclusively on Facebook. “selfie#theinternetisforever,” “Last Time For Everything” and “Heaven South” have been releases previously.